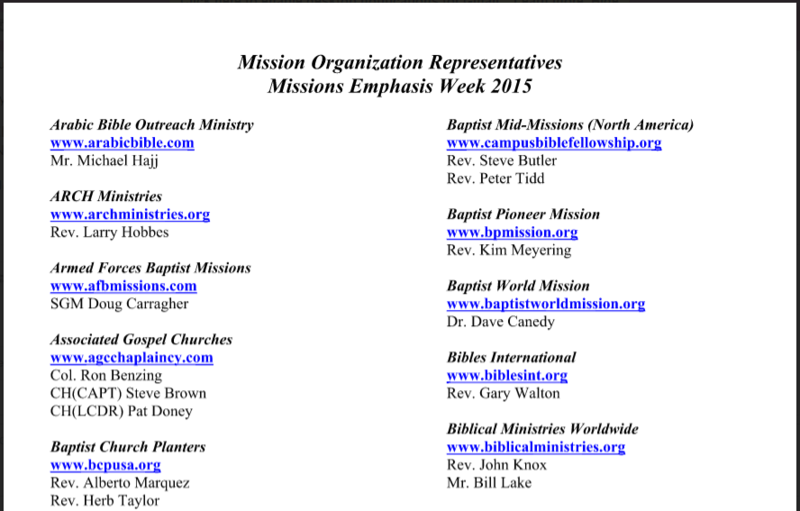 This year at the BJU Missions Emphasis Week (http://blogs.bju.edu/…/10/16/missions-emphasis-week-oct-19…/), Bob Jones University welcomed back Baptist Pioneer Mission (BPM). This mission board was named in the GRACE report as being aware that one of their missionaries (whose identity has been established from the GRACE report documentation) allegedly committed second-degree sexual assault, but choosing to protect him and keep him out of the country in order to avoid any potential of prosecution. According to BJU administration, the offense was admitted to them. According to Kim Meyering, who represented BPM at BJU this year, the offense was admitted to him. BJU has made their policy very clear regarding the missionaries with whom they associate, that if anyone discovers that dress code or music standards have changed, BJU wants to be notified right away. This statement and situation indicate to us that BJU even now–even after having their investigation and their stated desire to change in positive ways–values dress code and music standards more than they value the “throwaway parts” of vulnerable people (a term used by Bob Wood). Note: This information was posted on our Facebook page a week ago. We post it here now for those who don’t have Facebook.